The Beartooth Highway is closed on the Wyoming side, owing to winter conditions. According to the Wyoming Department of Transportation, as of 9:07 a.m. MST, U.S. 212 between WY 296 and the Beartooth Pass was shut down after an abrupt snowstorm created icy conditions on the road. U.S. 212 is currently open in Montana up to the state line, but visitors from Montana will not be able to use the route to get to Cooke City and the Northeast Entrance. There is no indication at this time when the Wyoming DOT will reopen the road. As of writing, the U.S. 91 around Leeks Marina and Flagg Ranch in Grand Teton National Park is closed too, due to activity from the Berry Fire, effectively closing Yellowstone’s South Entrance. 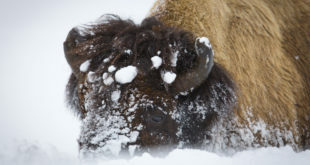 Admission to Yellowstone is free this weekend, due to the NPS Centennial celebrations. 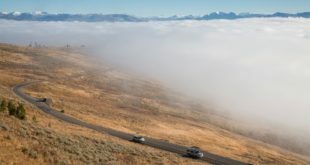 UPDATE: The Beartooth Highway is open once more, according to Wyoming DOT.